Q&A: Why Don’t Christians Celebrate Passover? This question comes from a good friend in Sarasota, FL USA. She wanted to know why we as Christians don’t celebrate Passover. Now the typical answer is, “Because Passover is a Jewish holiday and we’re not Jews.” But permit me to challenge that typical thinking and really dive into the meat of why Christians today don’t celebrate Passover as the early Church did. Before getting started on why we don’t celebrate Passover, let me explain why I believe we should. Imagine if you had Pablo Picasso, Salvador Dali, Claude Monet, and Andy Warhol all paint a portrait of you. They would all look different, reflecting the artists personal style, but they would be similar since they’re all portraits of you. That’s how the Gospels work. Matthew, Mark, Luke, and John are all unique biographies of Jesus with a few differences here and there, however the majority of the books are similar in nature. Matthew, Mark, and Luke are known as the synoptic gospels because most of their contents are the same. John’s gospel, on the other hand, is mostly unique as it paints the portrait of Jesus’ life and divinity through God’s providence from before time began and in this example would bear resemblance to Picasso. One story that is the same in all four gospels is the story of the Last Supper (Matthew 26, Mark 14, Luke 22, John 13). The Last Supper is where the Church doctrine of taking communion comes from, where the bread represents Jesus’ body that was bruised and broken for us and the wine represents the blood He shed to pay the penalty for our sin. After offering the bread and wine Jesus told His disciples (and us as well) to remember Him whenever that the bread and wine were shared. So what does the Last Supper have to do with Passover? Well, the Last Supper WAS Passover. More accurately, it was the Passover seder. 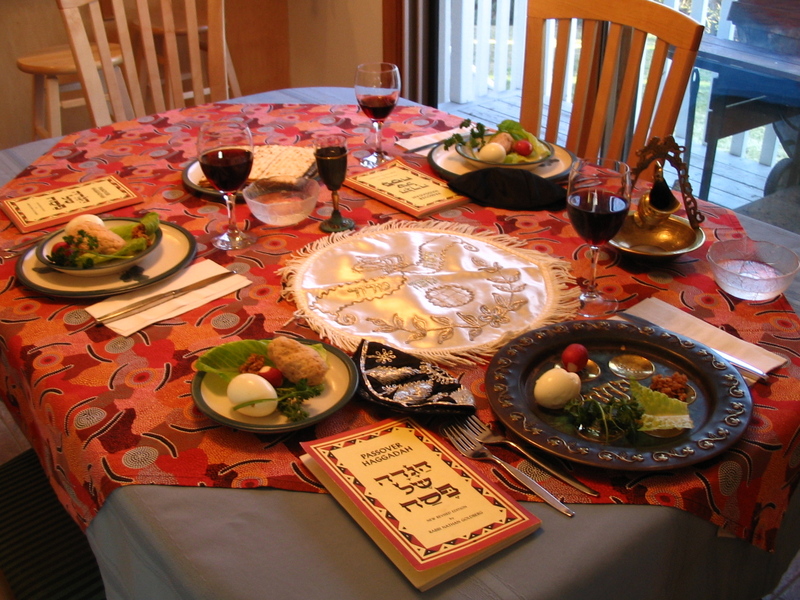 The seder (pronunciation: sey-der, translation: order/arrangement) was the formal meal that was at the heart of the Passover celebration. It told the story of God’s saving power during the Exodus from Egypt and was a time of reflection to remember the bitterness of their slavery. It was meant to be a time of mourning and joy in knowing that God provided a way for death to literally pass over His people. We’ll touch more on this in my next post. As you go through a seder, there is are four cups of wine that are shared, each with it’s uniquely significant meaning. Each coincides with a particular part of the seder and culminates in the final cup which is the cup of hope. It is this cup that we share every time we break bread with our brothers and sisters in Communion. It was this cup that Jesus shared with the twelve before He would be crucified, and it was this cup that He said He wouldn’t drink again until we are with Him in His Father’s kingdom. Divisions in the Church are nothing new. The pastoral letters (epistles) from men like Peter, Paul, John, James, and Jude are full of rebukes to those who are attempting to influence the Church for their own gain. Texts outside of the Bible speak of the gnostics who produced false gospels and led Christians astray, and the Judaizers were a constant headache for the gentile Christians who were just learning what Jesus wanted them to do. Over the next few hundred years, as the Catholic Church gained power and influence, evangelistic missions were set up around the world. The missionaries who lived and worked in the villages and cities, much like today, had to find ways to relate to the non-believers around them. One of the ways they did this was through a process called contextualization in which the Christian would attempt to relate the gospel to the context in which they live. This still happens today and is vital for global and community outreach. For example, when missionaries with Wycliffe were trying to translate the gospels into the language of the Inuit peoples they realized that these arctic dwellers had no idea what a lamb is. So they took the word lamb (as in Lamb of God), which had no value to these people, and replaced it with the word natsiq which means baby seal, an animal of great worth. Unfortunately, just as today, there is a fine line between contextualizing the message and syncretizing it. Syncretism is the blending of one or more religious beliefs. Syncretism is the reason we celebrate Jesus’ birth (Christmas) around the winter solstice, why the Catholic and Orthodox churches venerate/worship patron saints of music (Cecilla), love (Valentine), plants and animals (Francis of Assisi), etc. Veneration of the saints “Christianized” the pagan worship of idols and gods who were in charge of specific attributes of this world. It’s also the reason why we celebrate Easter instead of Passover. 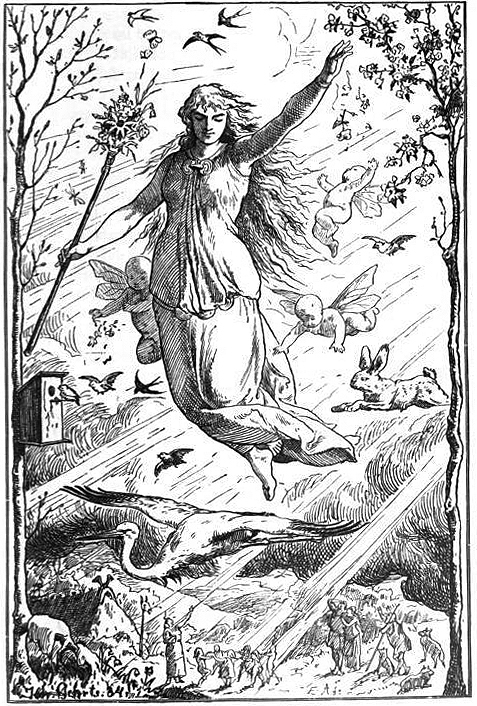 According to Catholic church history, Easter is NOT a Christianized version of the feast of Ishtar (as Facebook memes would have us believe), but rather was the Christianized celebration of Estre, the Teutonic goddess of spring and new life. You see, when ministering to people who have their own culture, their own understanding of things, and their own traditions, it is A LOT easier to take what they already do and re-brand it to make it more Christian. Rather than trying to help those people understand the significance of Passover, why not just take their holiday and say it’s about Jesus? I mean it’s close to the time of Passover, so why not. Doing this runs the risk of syncretizing our beliefs with pagan ones. Usually when we speak of the great reformer, Martin Luther, it’s with respect, and honor. I agree that God used Luther mightily in the reformation of the Church which was a fantastic thing, but as Christians we also have to accept the fact that Luther, like the rest of us, was a sinner and made some big mistakes. When the reformation began, Luther was an advocate for the Jews against the Catholic’s pogroms and persecutions, but once he realized that the Jews weren’t going to all of a sudden become Christian he turned on them and published “On the Jews & Their Lies”. Now there are many today who use the words “hate speech” so loosely that they are stripping those words of their power, but if there were a picture of “hate speech” in the dictionary it would be of the cover of that book. 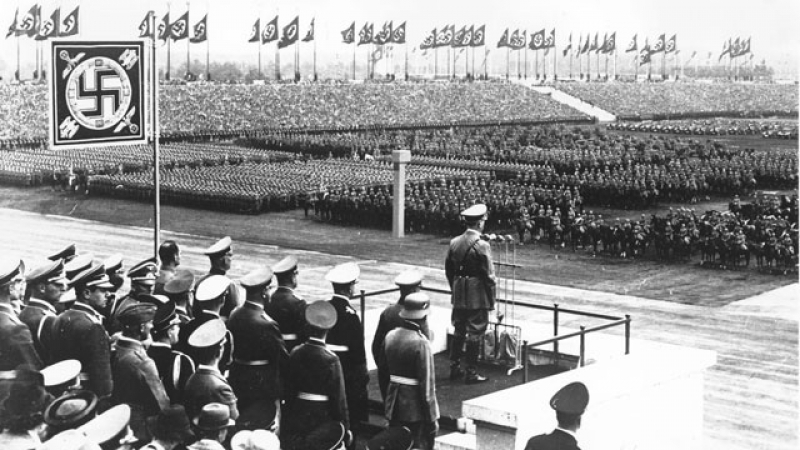 The utter disdain for God’s chosen people would be used to give credence to Adolf Hitler’s anti-Jewish ideologies, so much so that the book was on display at the Nuremberg Rallies from 1923-1938. Because of his position, Luther’s writings, ALL of his writings, have significant influence on the Lutheran denomination as well as others in the reformed tradition. Thankfully, there are churches who recognize the sinfulness of that book and disregard it. Last, but not least, one of the primary reasons that we celebrate Easter and not Passover is because of good ol’ replacement theology. This heretical teaching suggests that when Christ instituted the new covenant (Jeremiah 31:31-40) the Church replaced the Jews as God’s chosen people. Therefore, every time the New Testament refers to Israel after the resurrection it is referring to the Church as the new Israel. This has been a widely held belief for thousands of years and has led to much of the antisemitic persecution of the Jews around the world. It wasn’t until recent history that American theologians began understanding that the Church was the Church, and Israel will always be Israel. It is through this understanding that everything else in the Bible starts to make a bit more sense. But that’s another topic for another day.